Scholaring season started early with the Peace Bike, and (as Casey Kasem would say) we don't stop 'til we reach the top! 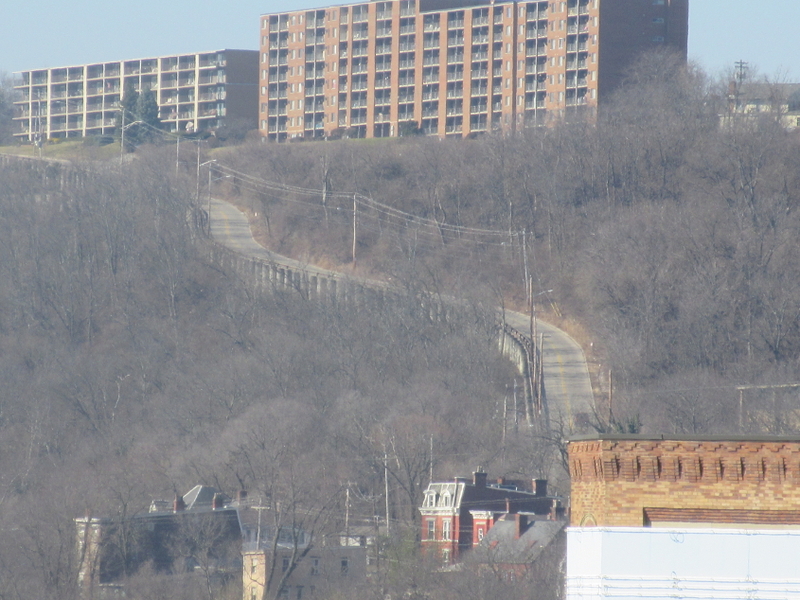 From the east terminus of the Western Hills Viaduct, this is a view of Lehman Road ascending Price Hill. 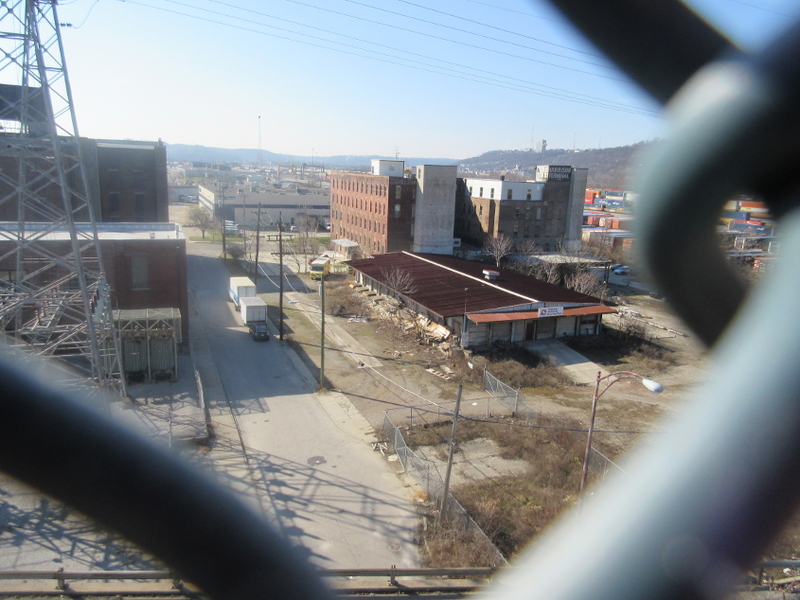 Another view of Buck Street from the viaduct. It looks like there's an abandoned road coming off Buck on the right, but I can't find any old maps showing a road there. West on the upper deck of the Western Hills Viaduct. The sidewalk we're on forms a staircase you can see at far left. 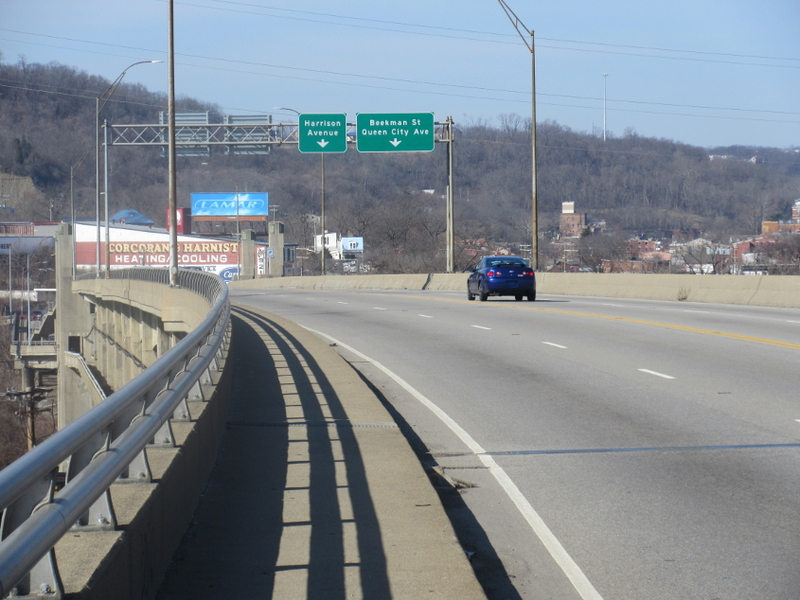 This photo underscores the point that US 52 used to use the viaduct and continue up Harrison Avenue as long as it dared. A family member had burst out laughing when they saw an old map with US 52 routed on Harrison Avenue. Didn't they know? 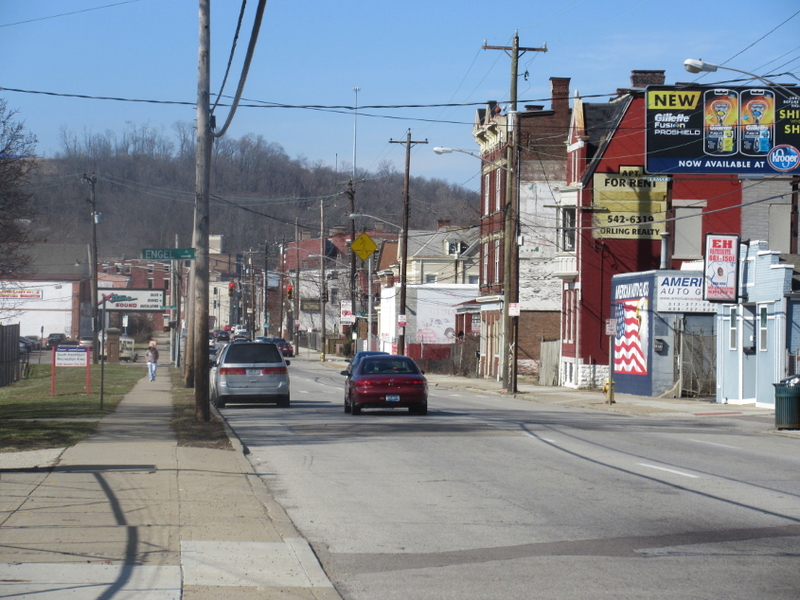 Harrison Avenue - old US 52 - is straight ahead. Westwood Avenue branches off on the left but is one-way. 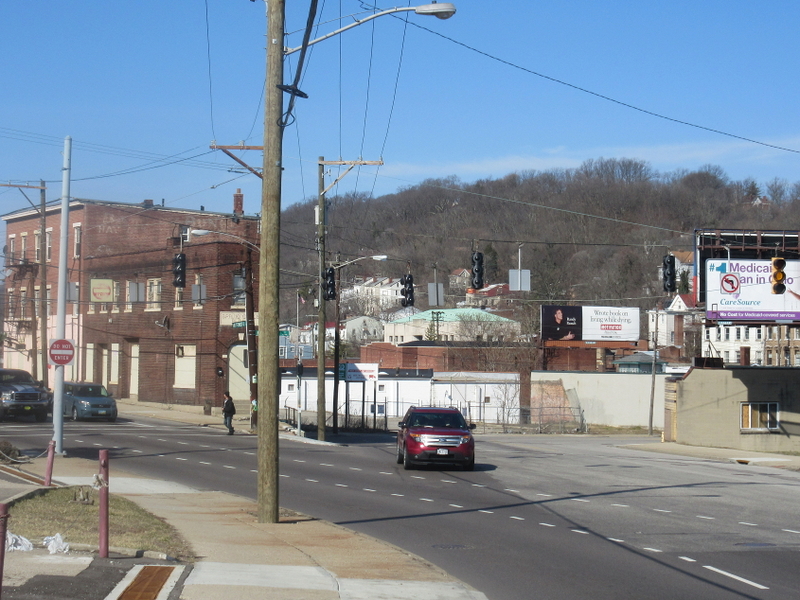 Harrison - your favorite former stretch of the Big Five-Two - crosses Queen City Avenue. 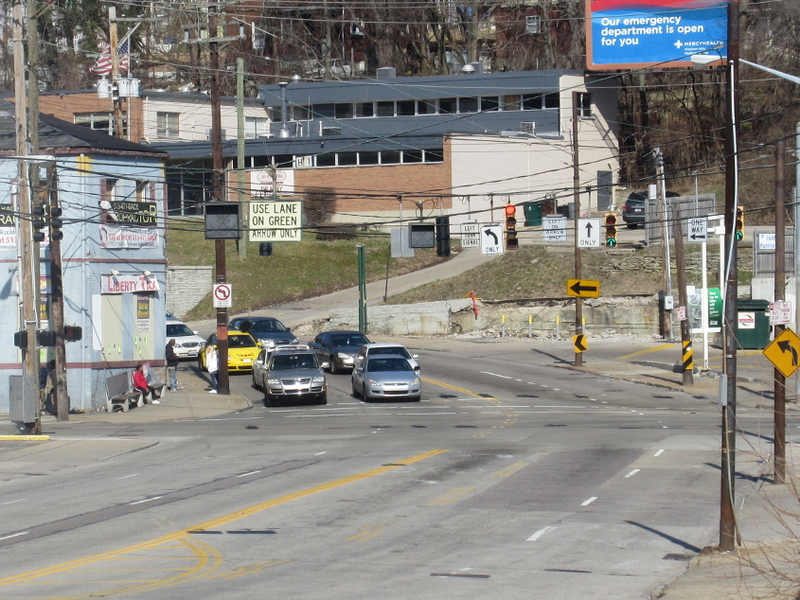 Look close, and you'll notice the road has those old signals for red X's and green arrows above the roadway, like Columbia Parkway used to have. These signals are no longer in use. West on one-way Queen City Avenue at Engel Alley. 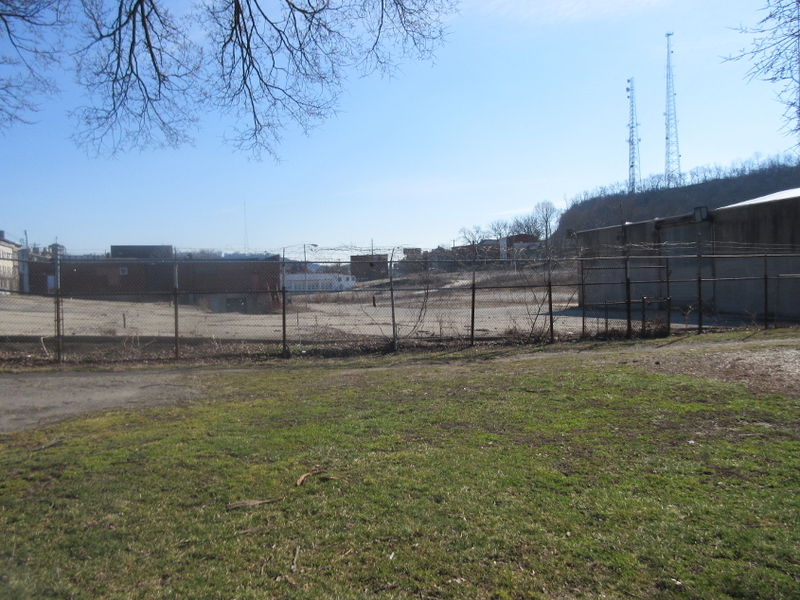 Looking east from South Fairmount Playground, I strongly suspect this is a remnant of the old Laird Alley or Lick Run Alley. 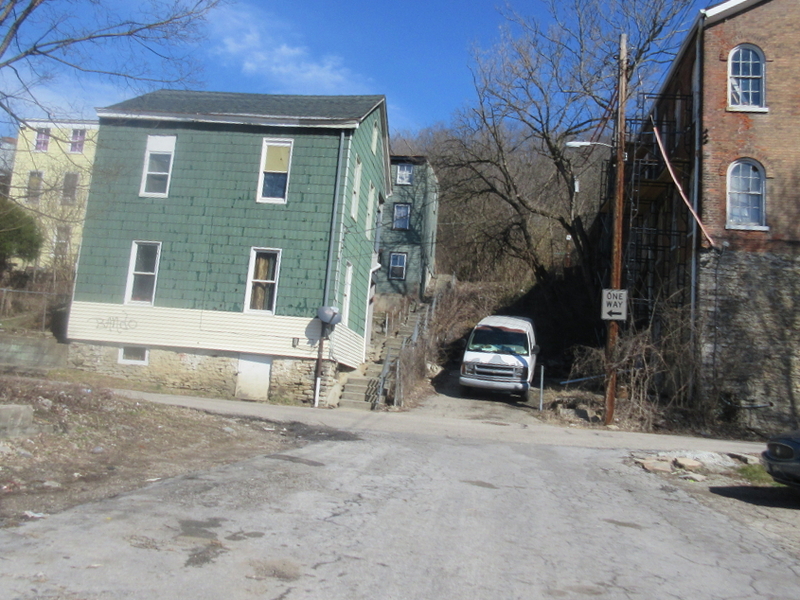 You may also notice we seem to be in a depression in the terrain here: The alley was where Lick Run Creek used to be. The creek was piped underground a long time ago. 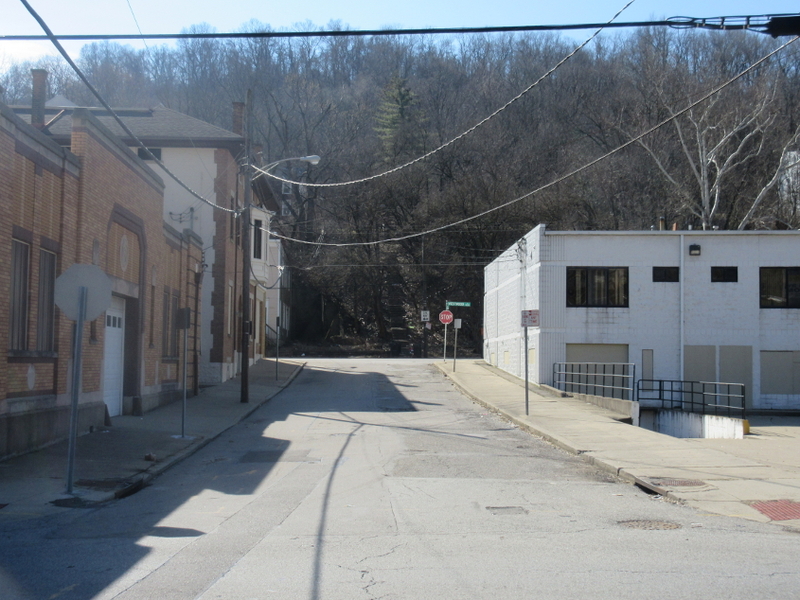 A 2011 sewer plan would have unearthed the creek, but the plan was unpopular because it would have demolished homes. 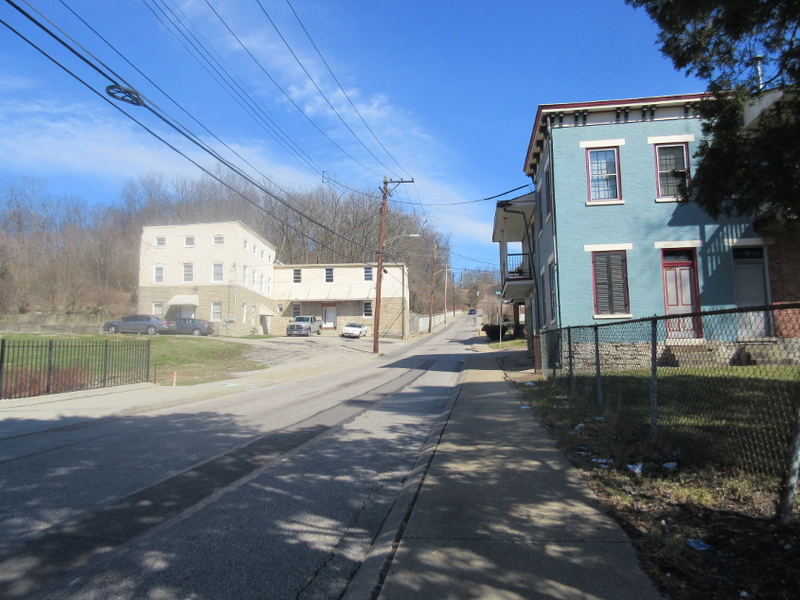 Later this project was scaled back - but the neighborhood's houses were still slated for demolition. Of course. 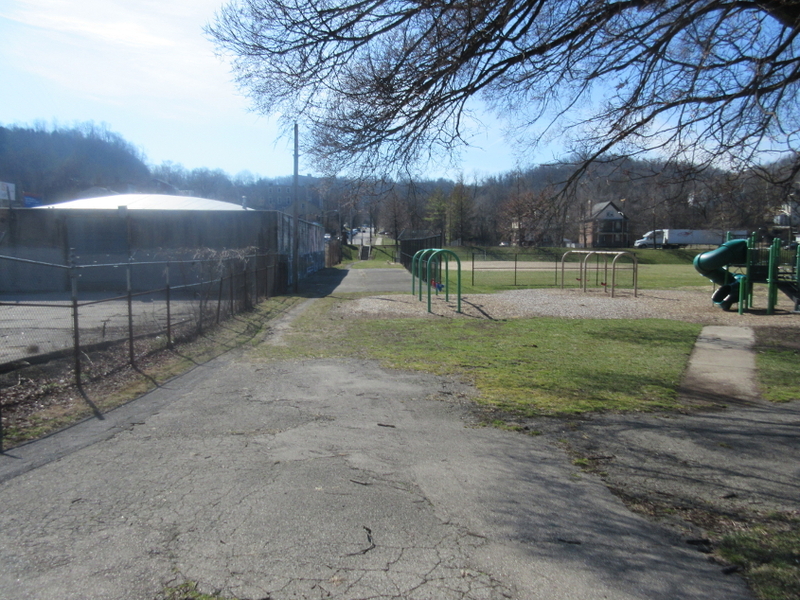 Looking south in the playground. This looks like it could be an abandoned road, but once again, I can't find any cartographic evidence. North on the brick-paved Engel Alley, which becomes a set of steps up to Harrison & Montrose up ahead. A VIDEO!!!!! This is west on Wickham Place. 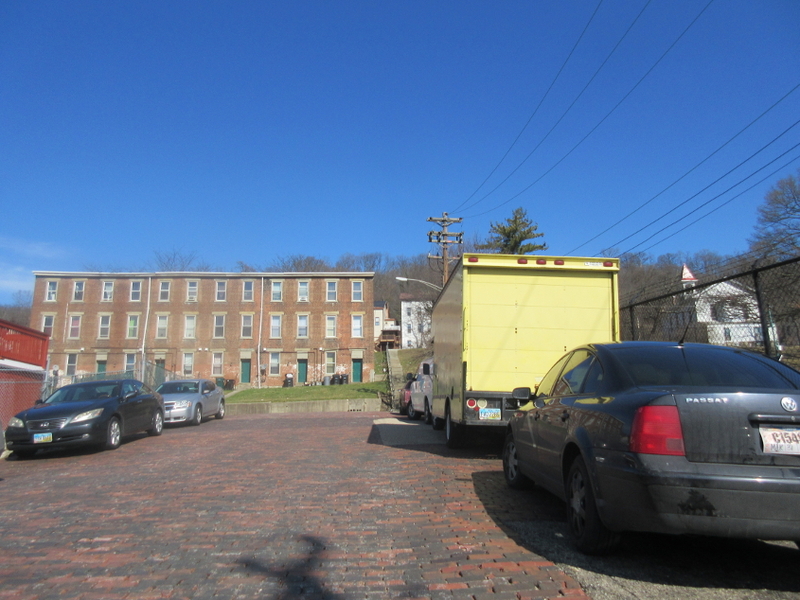 At least part of it was once called Ferdinand Alley. 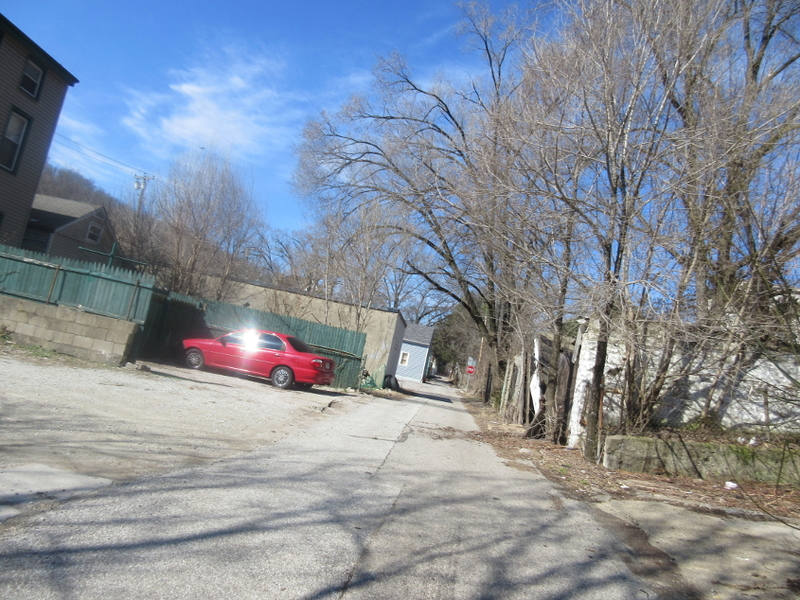 We cross Error Alley, which I had thought had been abandoned, but it appeared as if there was still a path there down to Queen City Avenue that you can still use if you're really desperate. Looking up Merton Street. Does anyone still use this street? It doesn't seem to have any houses. It just trails off into the woods. 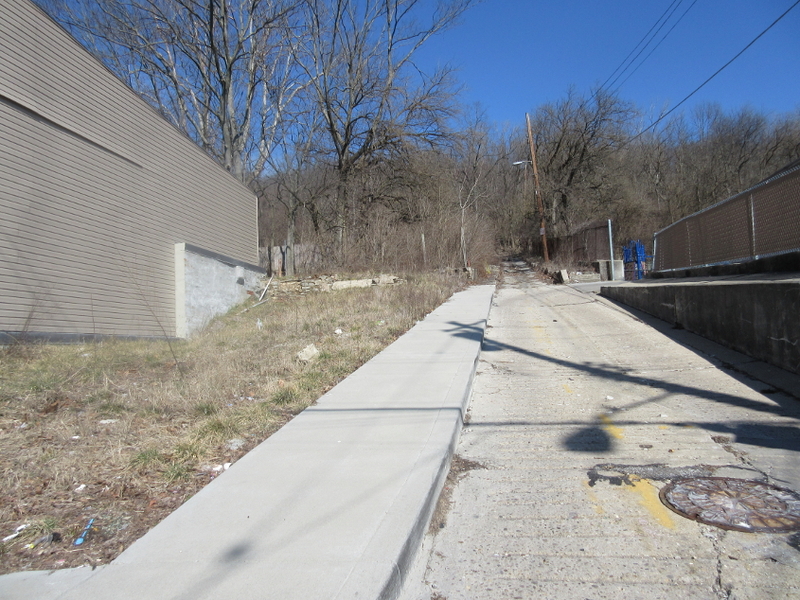 It appears as if it used to end at a now-closed part of Montrose Street, near where the now-defunct Lima Street went up to Harrison Avenue. And make no mistake, Lima Street was real. You can see it even in a low-res 1932 aerial. South on Van Hart Street from Queen City. 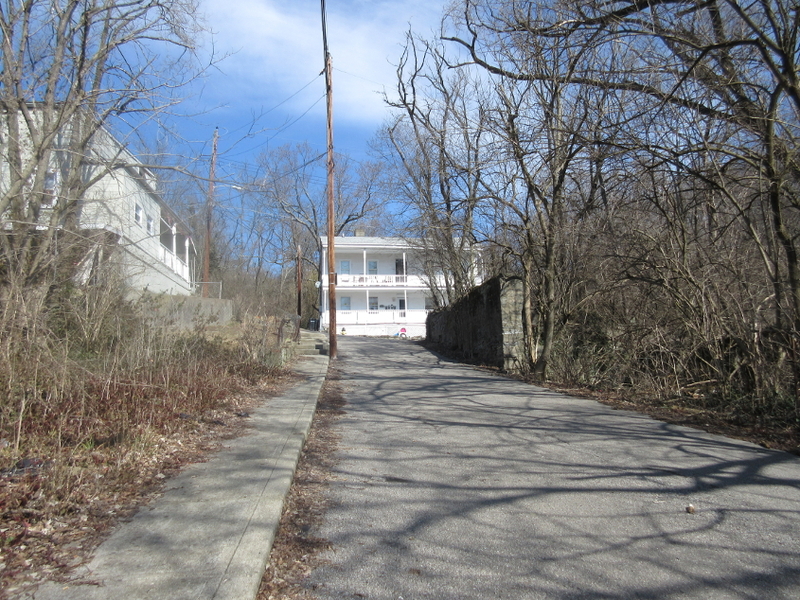 Where Van Hart crosses Westwood Avenue up ahead, it becomes a stairway up to Forbus Street. Van Hart also marks a section line. North on Ekardt Street approaching Wickham Alley. North on White Street from Wickham. We still haven't gotten to the real highlight of this outing yet! This is north on Richter Street. I was thinking the wall on the right may have been part of an old rail trestle, but now that seems doubtful. There was once some sort of intracity rail, but apparently it was behind where the house up ahead is now.